The teen romance dramedy has been done. A lot. What hasn’t been done nearly enough is the mainstream gay teen romance dramedy. Luckily, Love, Simon, a heartfelt coming-of-age story, looks like just the movie we’ve been waiting for. And judging by the funny, moving trailer that just dropped for it, it could be a tearjerking game-changer. 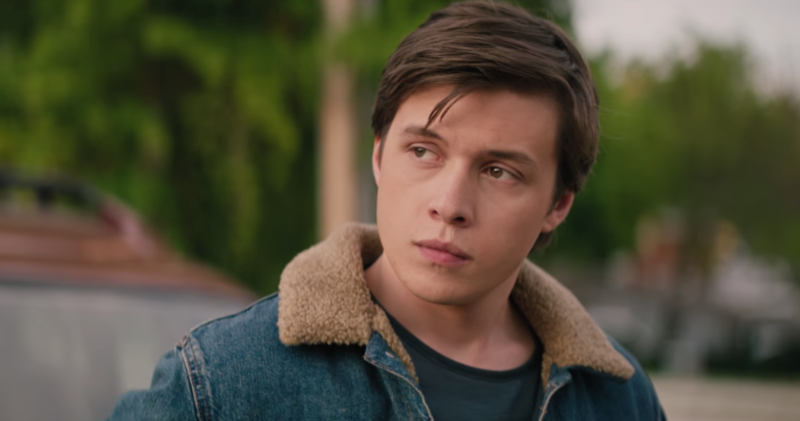 Love, Simon stars Nick Robinson as Simon Spier, a 17-year-old who can’t quite bring himself to come out to his friends and family. Alongside Robinson (who you might recognize from Jurassic World), Jennifer Garner, Tony Hale, Josh Duhamel, 13 Reasons Why‘s Katherine Langford, Alexandra Shipp, and Jorge Lendeborg star. We won’t get to see Simon’s story until March of next year. But it’s encouraging to see it will be joining the ranks of a few other recent high-profile love stories centered on LGBTQ characters. Call Me By Your Name tells the story of two men falling in love one summer in Italy, and has already won Best Feature at this week’s Gotham Awards. And Disney made headlines in October for featuring its first gay storyline on the Disney Channel’s Andi Mack. Obviously, there’s still a long way to go. A teen love story that features gay characters shouldn’t be big news. But until we get to that point, we’ll keep celebrating inclusive storytelling like Love, Simon. With Dawson’s Creek‘s Greg Berlanti in the director’s chair and This is Us‘ Isaac Aptaker and Elizabeth Berger behind the screenplay, we’re betting this adaptation will be sweet, sensitive, and essential.